- ‘How to get help’ document We have set up dummy fixtures on Desktop version of EMC for you to run through in preparation for the season. 1. Search for ‘EMC Inter Division Leagues’ in the ‘Competition’ drop down box. 2. Then click on the ‘Group’ drop down box and select your region. This will then present fixtures for your region (Southwest) **If you would like a comparable example on the Mobile version of EMC, login to mobile EMC through the link above and choose your first XV team. Select the appropriate fixture to complete. Note - this may appear in the ‘past’ tab if the dummy fixture was scheduled for a date in the past. You will be able to complete the EMC for the dummy games until the 28th August at which time we will delete the data ready for the start of the league season. To access EMC you must have the correct permissions on GMS. It is your club's responsibility to ensure the appropriate people have the correct permissions to access EMC. A final note to mention is for the curious amongst you who may have searched for ‘EMC’ on Google you will find YouTube videos that were posted last year. They will still provide useful tips as a guide but they do not present the most up to date version of EMC, again, please be aware of this. All first teams have been sent a list of the registered players which should arrive in the next few days. The newsletters which accompanied the sendouts are available on the newsletter section of this website. - Water only the essential areas. - Do not water during the day. - Reduce the frequency of watering and water more thoroughly each time, to get moisture well into the soil. - Do not allow puddles to form or surface run-off to occur. - Raise the height of cut when mowing. If possible return clippings to help to act as mulch. - Be prepared to close specific problem areas that have become dangerous. - Do not apply pesticide or fertiliser. - Continue to mow, but not as frequently and when possible increase the height of cut (approx. 75mm). The grass will survive better in the long term with careful mowing rather than none at all. - If a Water Authority decides to impose a ban look through the precise terms of the ban and assess its application and relevance to the club. - Reinstate any severely damaged areas as soon as conditions and water availability allows. - Wetting agents should still be used to help with rewetting of drought-damaged or waterrepellent turf. - After the immediate problems have been dealt with it may be necessary to revise the management strategy to minimise future problems. Alleviate compaction and eliminate excessive thatch to encourage deeper rooting. If possible, manage turf to favour drought-tolerant species o Update the irrigation system to improve efficiency. Investigate alternative water sources and increase the water storage capacity. Good maintenance practices will encourage the development of a vigorous healthy sward with a deep root system, which will be able to withstand the effects of drought better than a weak sward with shallow rooting long term. The London & SE Division also have a session at Twickenham Stadium on Wednesday 8th August which may be more convenient for some. Fixtures for the 2018-2019 season have been posted to the nominated league contact of every team taking part in the competition. They can also be viewed here. The newsletter which accompanied them is available here. Confirm their nominated league contact - this should have been done by 1st July 2018. Go here. If playing in leagues of 12 or less decide if you want to apply for a free weekend. The form (and details of what you can apply for) is here. Every weekend between the start of the season and the end of April (except the two weeks at Christmas) is available for re-arranged matches - it is only a free weekend if you have successfully applied for it. The fixtures for 2018-2019 will be posted to all clubs on Tuesday 29th May and be available on this website the following morning. 14 club leagues will start on Saturday 1st September with 12 club leagues beginning the following week. Clubs will have four weeks after the publication of the fixtures to mutually agree any changes. 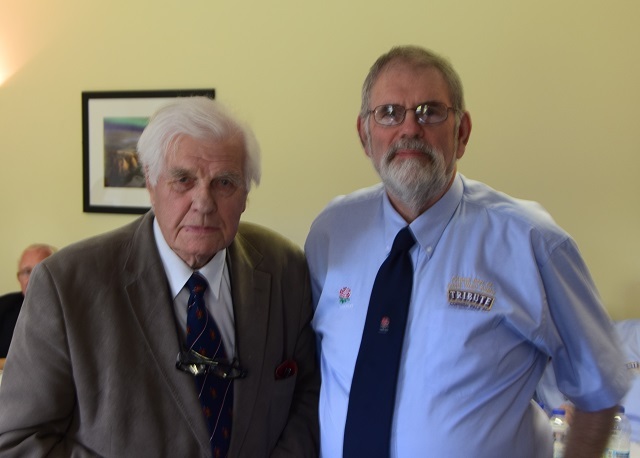 Nigel "Bert" Barber has stood down as chairman of the South West Competitions Committee after 15 years at the helm. Work commitments away from rugby have prompted the decision but he will remain on the committee as the League Secretary for South West Premier - the SW's top league. He is replaced by Dave McAteer from Berkshire, who becomes only the fourth person to hold the job since the committee was founded in 1987. 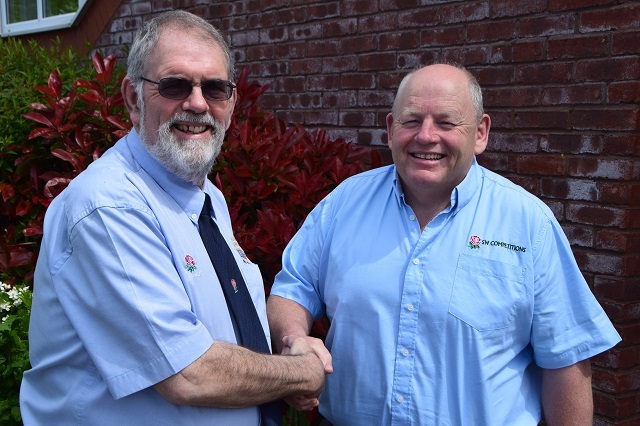 Read more about SW recognises Allan Townsend's nearly 30 years' service.